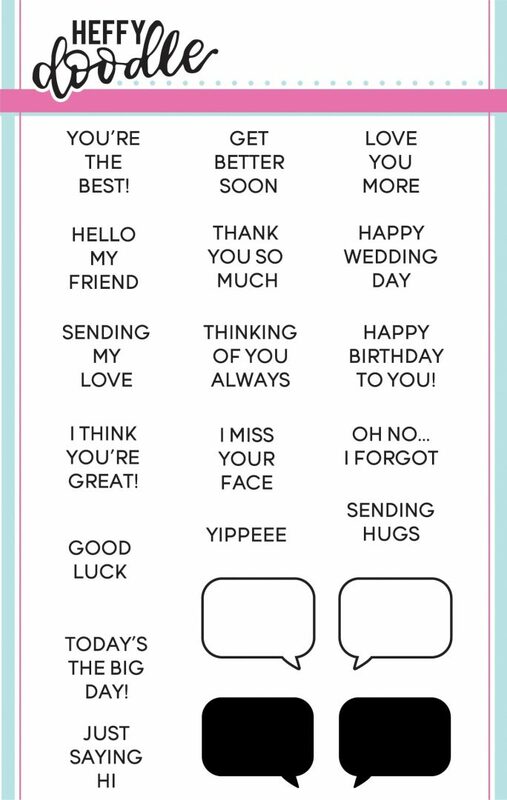 This set has a total of 21 stamps including 17 everyday messages which are perfectly sized to be stamped with the coordinating speech bubble images. There are 4 speech bubble s images in the set - two solid and two outline, which can be used together or individually. Coordinates with Whatcha Sayin' Dies.